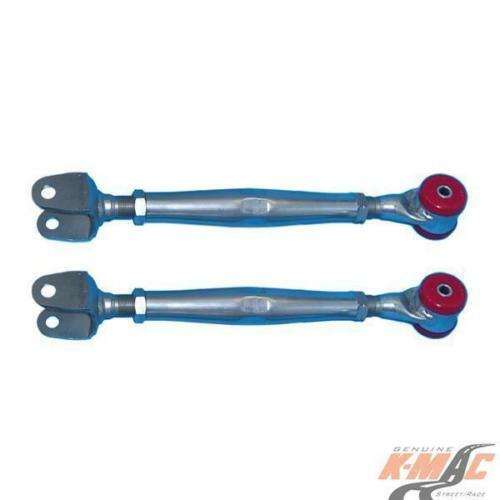 PRODUCT : Essential/Race Proven Adjustable Turnbuckle Arms Allow fully adjustable Rear Suspension. 2 axis Aircraft grade Chrome Moly tapered tubing. 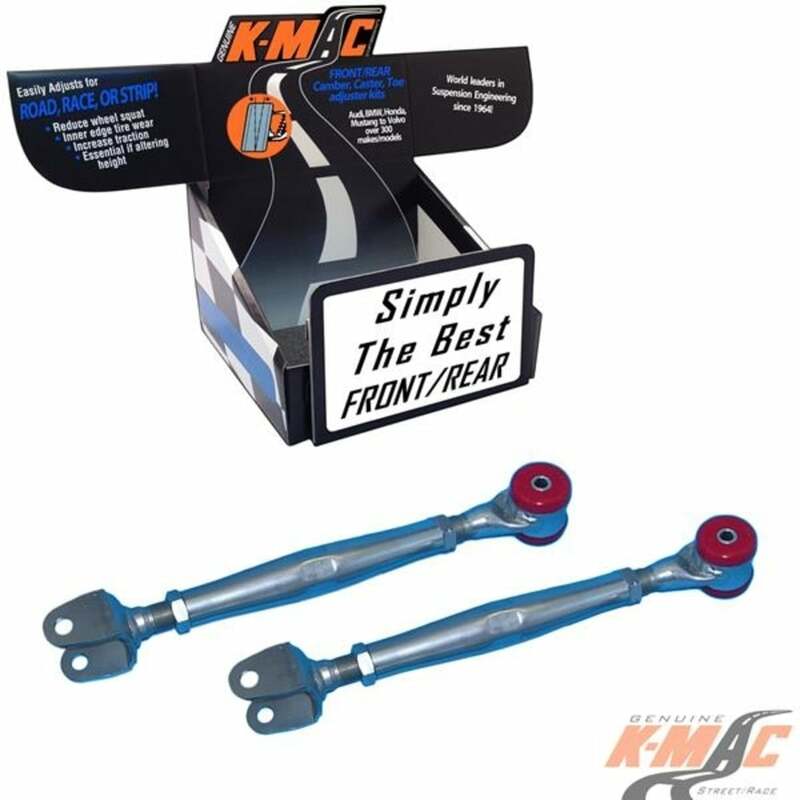 * ALSO SEE COMPLETE RANGE OF THESE “FRONT AND REAR PRECISELY ADJUSTABLE CAMBER CASTER TOE BUSHINGS ” All the very latest K-MAC design breakthroughs to resolve premature bush wear. Most bushings feature twice the load bearing area of OEM and are 2 axis / self aligning – without the use of air voids. Result is improved brake and steering response. The Camber, Caster and Toe bushings are also precisely adjustable (unique K-MAC patented design – single wrench on car, allowing accurate adjustment “under load” direct on alignment rack). With the “Camber” bushings providing also “extra” track width (and negative adjustment) on race days.